This week, the House Armed Services Subcommittee on Strategic Forces held the FY15 Missile Defense Hearing. Congressman Jim Cooper (D-TN) aptly concluded the hearing – which was focused on advancing missile defense capabilities in the face of fiscal difficulties – by saying he thought “the most important single word that was uttered (by the witnesses)… is sequestration, get rid of sequestration.” Without Congressional action to eliminate them, the original deep discretionary budget cuts will return in FY16. These cuts will disrupt important defense programs including new homeland missile defense capabilities. These programs include the new Long Range Discriminating Radar in Alaska, as well as the much-needed redesign of the Exo-Atmospheric Kill Vehicles (EKV) that sit atop the ground-based interceptors in Alaska and California. Over the course of the hearing, there was considerable debate over who was responsible for the debacle of sequestration. To determine that, let us look back at the circumstances surrounding the passage of the Budget Control Act of 2011, in which sequestration became law, and how it will affect U.S. missile defenses if it is not repealed. Sequestration was born from a fiscal emergency in the summer of 2011 caused by a standoff between Congress and the White House over raising the debt ceiling. Failure to raise the ceiling would likely have caused the United States to default on its debt payments, resulting in serious economic damage including a possible downgrade of the U.S. credit rating. In the standoff, Congressional Republicans refused to raise the debt ceiling without an agreement that would reduce the federal deficit. As a result, Congress passed the Budget Control Act of 2011, which President Obama signed into law. The Budget Control Act of 2011 called for the formation of a Joint Select Committee on Deficit Reduction. The Committee’s purpose was to find ways to reduce the federal deficit by $1.2 trillion. To encourage the legislators to reach a deficit agreement, the Act included a provision that would bring about automatic spending cuts if the Joint Select Committee failed to reduce the deficit by the required amount. These automatic cuts are known as sequestration. After the Joint Select Committee failed to reach an agreement at the end of 2011, sequestration was to go into effect in January of 2013. The threat of deep budget cuts along with the expiring Bush-era tax breaks caused yet another fiscal emergency known as the “fiscal cliff.” The fear among lawmakers was that the combination of budget cuts and tax increases would send the United States back into a recession. To avert the fiscal cliff, a deal was reached that extended the tax breaks and delayed sequestration until March of 2013. Despite the additional time allowed under the fiscal cliff deal, Congress once again failed to work out a compromise that would avert the indiscriminate budget cuts. In March of 2013, President Obama signed the order authorizing the sequestration budget cuts. According to an op-ed by Bob Woodard in the Washington Post, “automatic spending cuts were initiated by the White House and were the brainchild of [then White House Budget Director Jack] Lew and White House congressional relations chief Rob Nabors.” However, the Budget Control Act received significant support from Congressional leadership. Many House Republicans voted in favor of the bill including Speaker John Boehner, Majority Leader Eric Cantor, and Budget Committee Chairman Paul Ryan. While the White House may have initiated the plan, both the Executive and Legislative branch had agreed that the Budget Control Act was the best option for addressing the deficit given the financial situation at the time. The Bipartisan Budget Act of 2013 included provisions that would alleviate some of the impact sequestration had on discretionary spending, including defense, by attempting to target spending cuts rather than cutting the budget non-discriminately across the board. The sequestration relief provisions under the Bipartisan Budget Act, however, are only good for FY2014 and FY2015. In FY2016, discretionary spending will revert back to previous spending levels. Military leaders are already beginning to warn lawmakers about the impact on readiness and operations sequestration will have if it goes back into effect in FY2016. The new initiatives Vice Admiral Syring referred to are new programs intended to bolster homeland missile defense. These include the Long Range Discriminating Radar (LRDR) and a redesign of the Exoatmospheric Kill Vehicle (EKV). 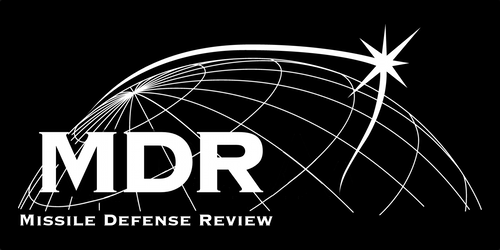 The LRDR will increase the defensive capability of the Ground-based Midcourse Defense (GMD) system by providing persistent 24/7 precision tracking and discrimination capability. The new EKV redesign aims to address what Frank Kendall, Undersecretary of Defense for Acquisition, Technology and Logistics, called “bad engineering” that has caused several failed tests of the GMD system’s ground-based interceptors. It is in the best interest of the United States to be fiscally prudent in the current budgetary environment. However, as other defense spending is cut, the importance of missile defenses increases. Homeland missile defenses in particular are a cost-effective way of filling the security gap created as U.S. military presence abroad is scaled back. Congress, therefore, must act to stop the detrimental effects that sequestration will cause to important homeland missile defense programs in FY16. Watch highlights from Wednesday’s FY15 Missile Defense Hearing and hear expert testimony on how the sequester is hindering the development of missile defense. This entry was posted in Budget and tagged Congress, missile defense, Sequestration, White House. Bookmark the permalink.